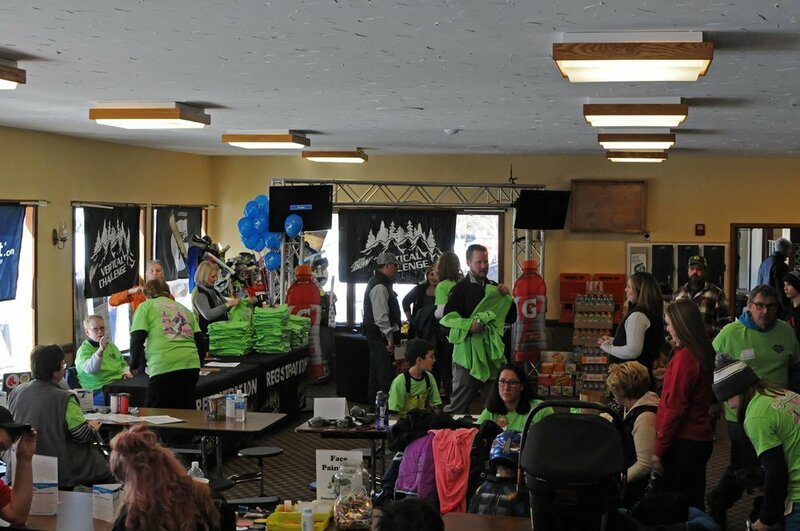 East Madison, NH (March 20, 2017) - Cynthia's Challenge, a 24-hour Ski-A-Thon that took place Friday, March 17 through Saturday, March 18 raised over $50,000 and is still accepting donations. 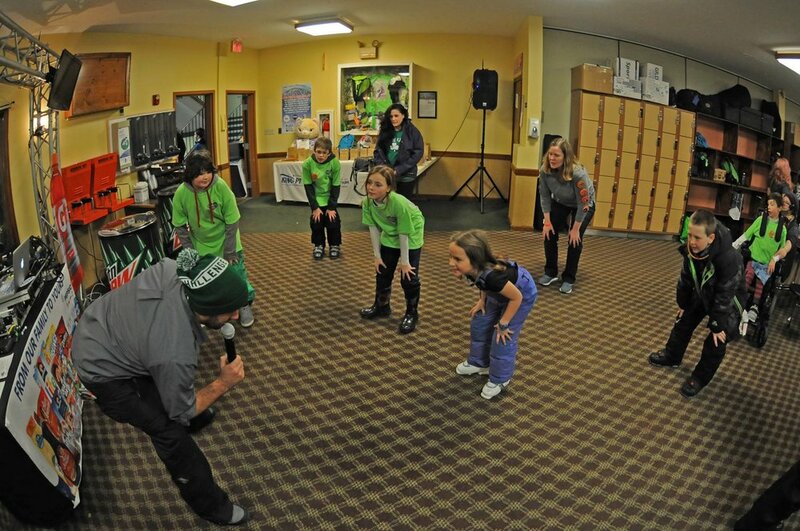 Over 250 skiers and snowboarders from near and afar registered and participated in the 24-hour event. 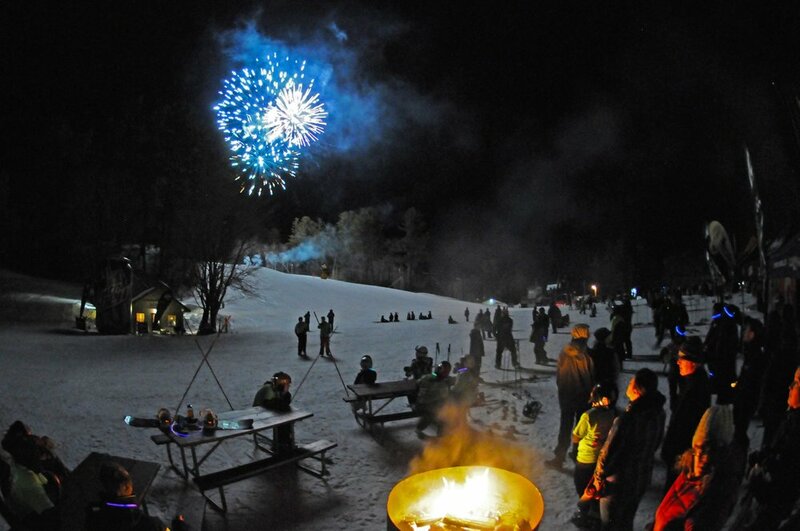 Registration was $99 per person and included dinner, breakfast, lunch, snacks and drinks throughout the event, a 24-hour lift ticket, a custom t-shirt and memories that will last a lifetime. Atlas Fireworks and Bank of New Hampshire provided a spectacular fireworks show Friday night and key support was provided by Vertical Challenge and Bolt Depot with crews playing music and providing entertainment throughout the event. In its fourth year, Cynthia's Challenge has now raised over $180,000 to fulfill the needs of children including a service dog for Cynthia Verrill and handicap accessible vans for Sammy Gillard, Kevin Dall and now one to be purchased for Faith Holt, age 11, from Sanbornville, NH. Faith is the daughter of Doug Holt, an Air Force Veteran who served in Desert Storm, and sister to older brothers, Sean (19), Devin (16) and Cody (12). Faith’s mother, Stephanie Holt, passed away when Faith was six-years-old. Faith was born pre-maturely and spent her first one hundred days in a neonatal intensive care unit. The combination of skeletal dysplasia, seizure disorder and Crane-Heise Syndrome require Faith to wear a soft-shelled helmet because she does not have a cranial cap. Due to multiple surgeries and her daily seizures, she uses a wheelchair for her mobility. Faith is completely dependent on others to bring her to the places that she needs to go, school, doctors’ appointments, social events and her family was in need of a reliable, wheelchair accessible vehicle. Saturday's lunch sponsored by the Yankee Smokehouse and Thrivent Financial provided grilled items served under sunny blue skies and nourishment for participants to finish the 24-hour challenge. In addition to lunch, The Yankee Smokehouse donated $1,000 raised by their successful pizza fundraiser hosted the Wednesday prior to the event. Flatbread Pizza provided pizzas for Friday night’s dinner and Leavitt’s Bakery along with Big Dave’s Bagels provided breakfast carbs to keep going Saturday morning. Cynthia's Challenge would like to recognize the following businesses for their support: Atlas Fireworks, Bank of New Hampshire, Bolt Depot, Flatbread Pizza, Hobbs Restaurant and Tavern, Mad Cow Screen Print, Ride-Away, Shendao Acupuncture, SnoCountry, Thrivent Financial, Varsity Beverage, Vertical Challenge and Yankee Smokehouse. A special thanks to everyone that donated raffle prizes, silent auction prizes and food to make this event possible including: Big Dave's Bagels, Blue Bay Seafood and Steak, Bobby Sue’s Ice Cream, Boston Duck Tours, Boyle’s Family Market, Bradley’s Hardware, Cindy’s Place, Conway Scenic Railroad, Cormack Construction, Cranmore Mountain, Donna Cormier Massage Therapy, Eastern Mountain Sports, Eastern Slope Inn/Attitash Mountain Village, Fryeburg Veterinary Hospital, River’s Edge Tavern, Jackson Hole Ski Resort, Jake’s Seafood, J.P. Goodwin, Leavitt's Bakery, Monkey Trunks, New Deal General Store, North Country Animal Hospital, Pat’s Peak Ski Area, Poor People’s Pub, Portsmouth Chowder, R & R Woodworkers, Ski Works, Shaw’s, Ski NH, Ski Works, Somersworth Nissan, Story Land, Valley Originals, White Mountain Hotel and Resort and Windy Field Farms. Tax deductible donations are still being accepted to help Cynthia’s Challenge reach the original $65,000 goal. Online donations are welcome at cynthiaschallenge.org and checks made out to Cynthia’s Challenge are also being accepted. For more information, please call King Pine or Purity Spring Resort at (603) 367-8896 or email info@purityspring.com.